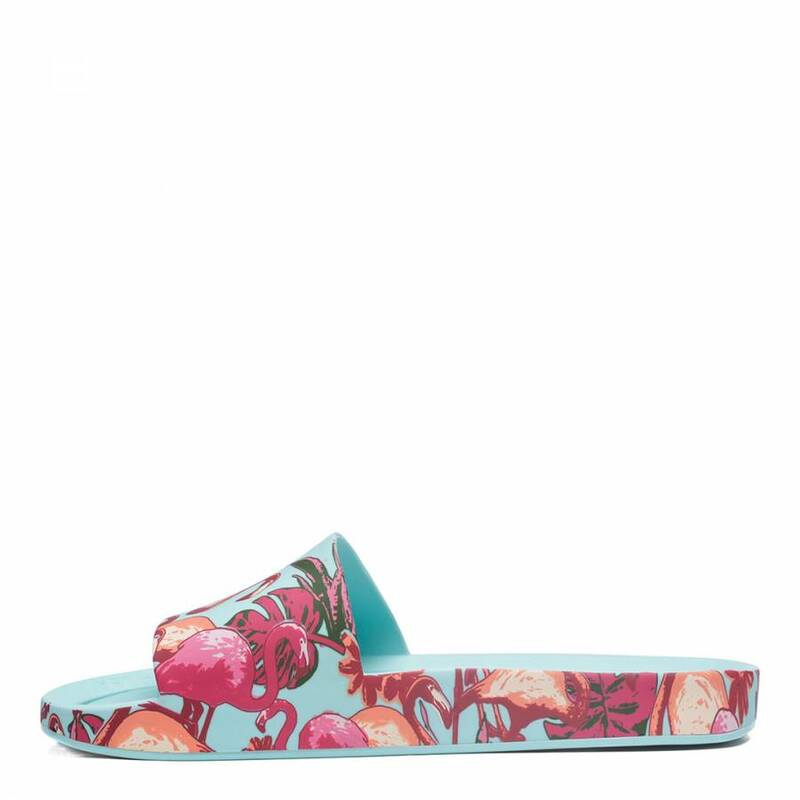 These Beach slides are featured in bright flamingo and botanical print with a turquoise base. With a subtle scented PVC adding a unique touch to this style. 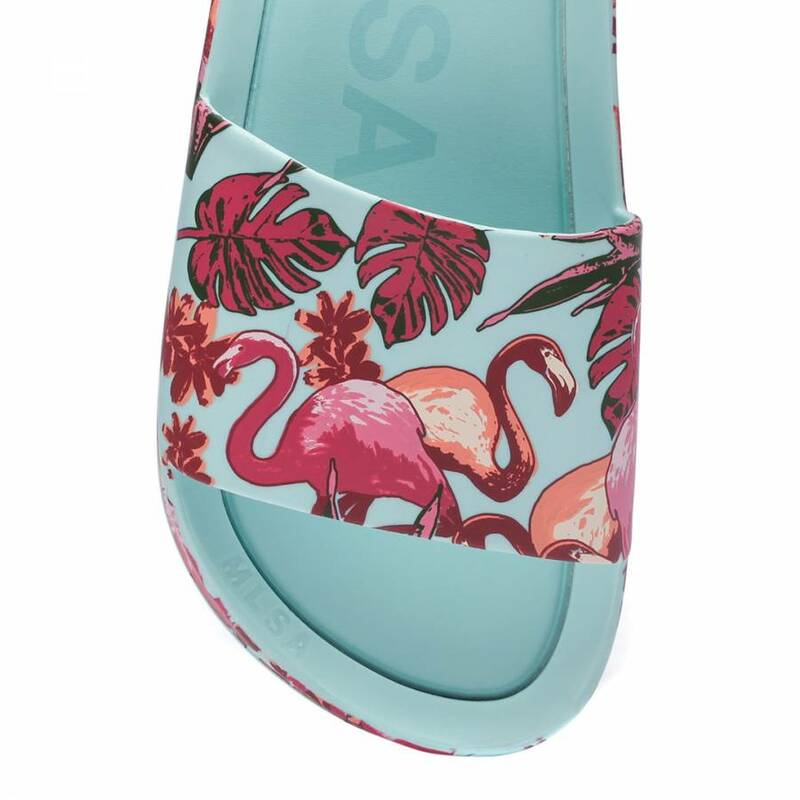 This style is designed to mold comfortably to your feet and is 100% waterproof. 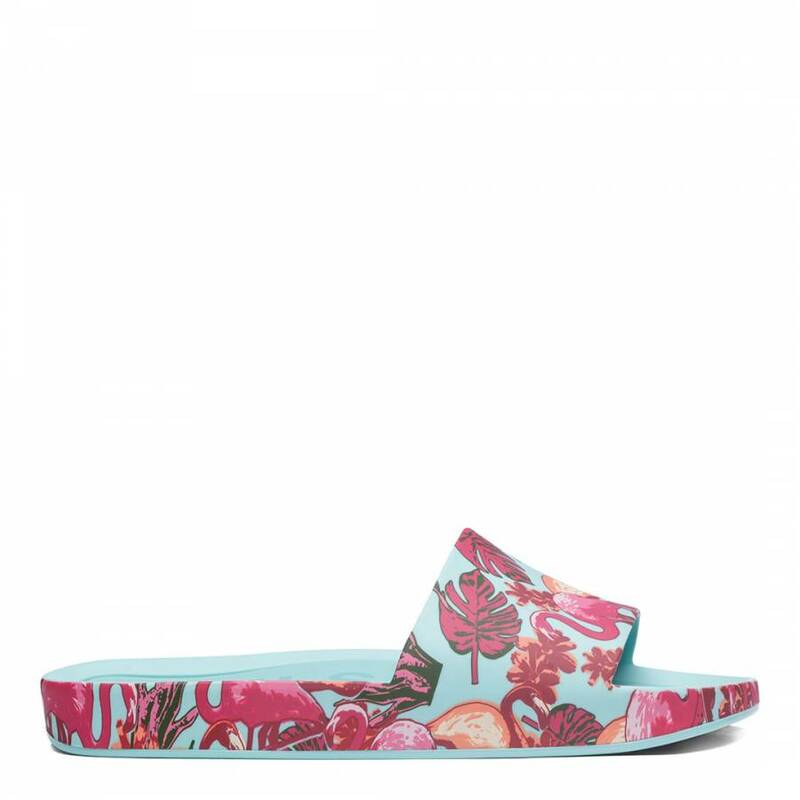 A cushion printed footbed ensures extra comfort. 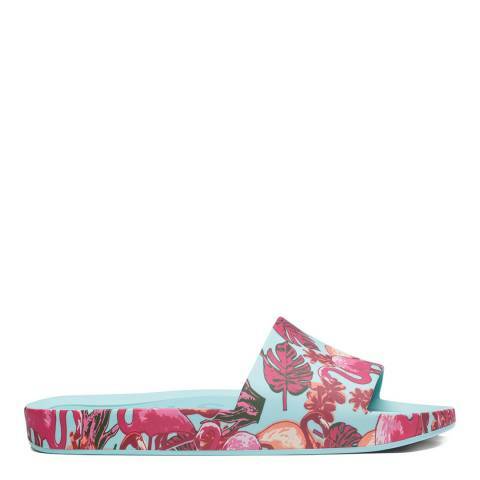 With a matte textured finish with the classic PVC design.